No, this isn't from the Broadway show Cats. I guess the first one could be an alternative version of Cheetah, Wonder Woman's enemy. 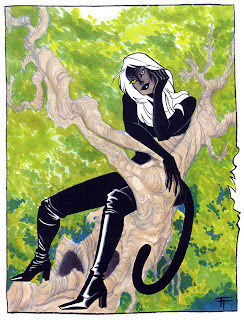 The Panther Girl sounds more like a Marvel character to me. 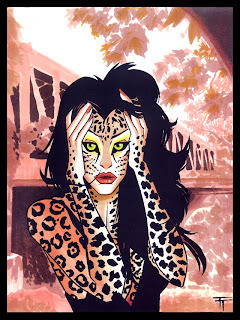 I think I've based Panthergirl on a Peta Wilson shot. Little did I know I was gonna met her in person one day, ha.